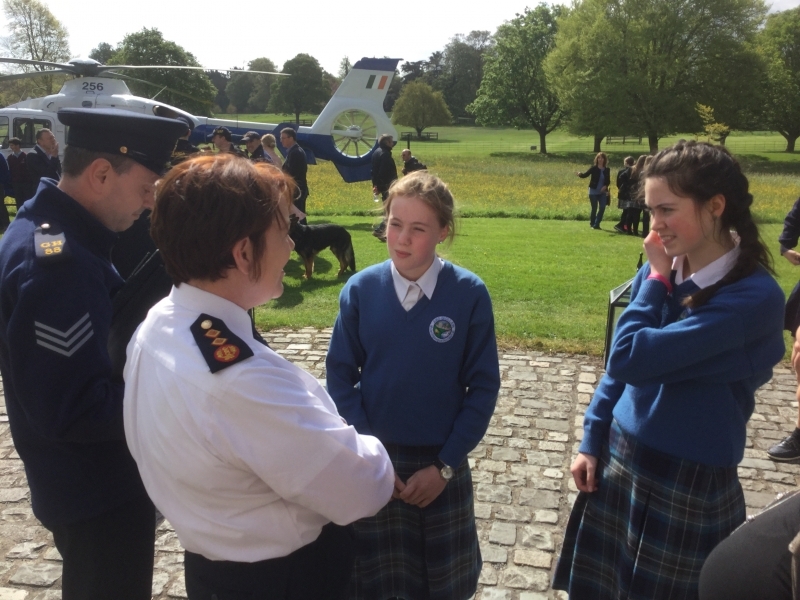 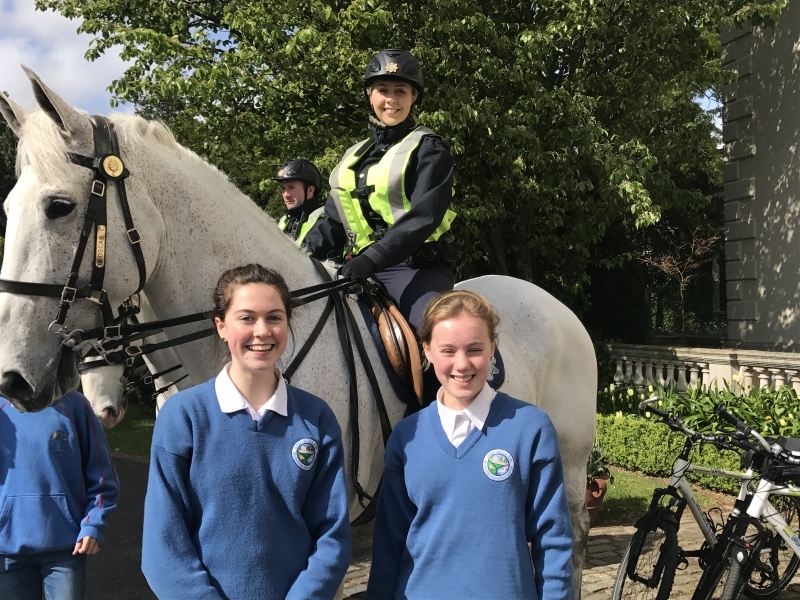 On Friday 5th may Emily Cathcart was invited to Farmleigh House in the Phoenix Park to meet with the Garda Commissioner Nóirín O' Sullivan. 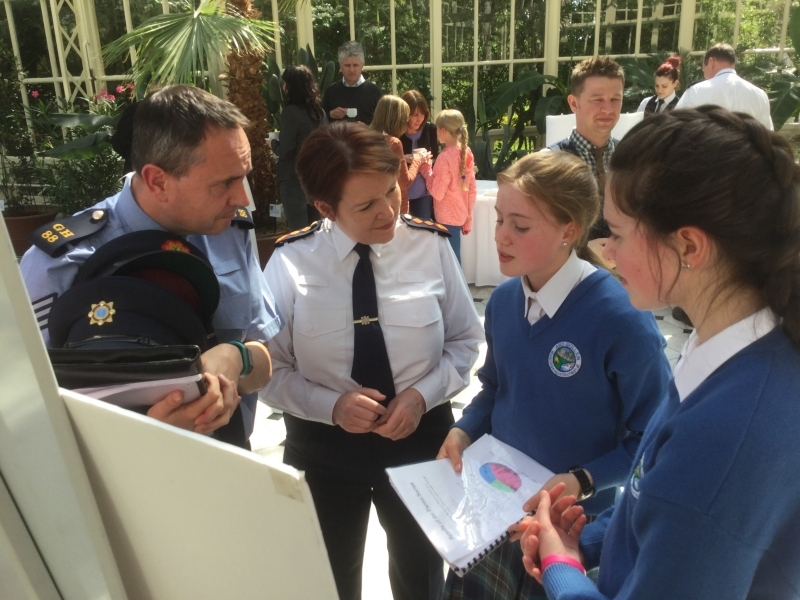 The Garda Commissioner was interested in talking to Emily about her Young Scientist project on road safety and the use of booster seats by primary school children. 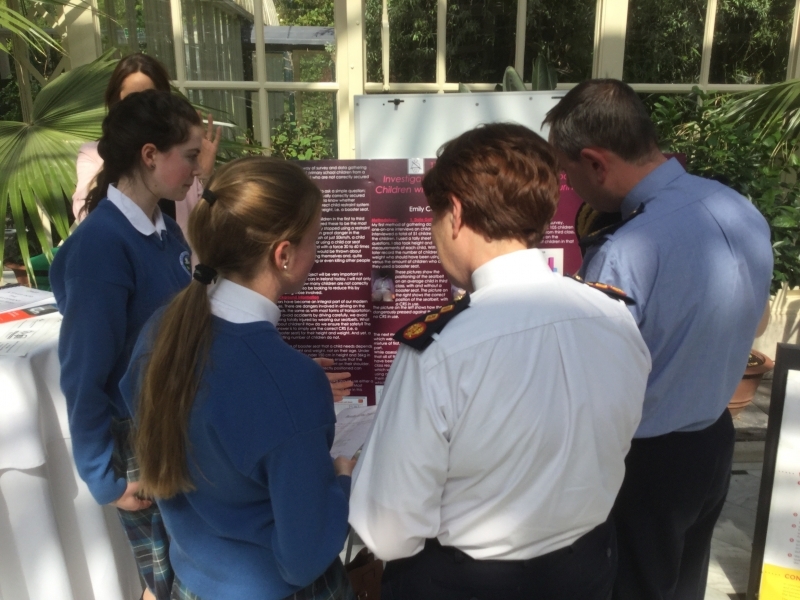 The commissioner was full of praise for Emily and her thought provoking research. 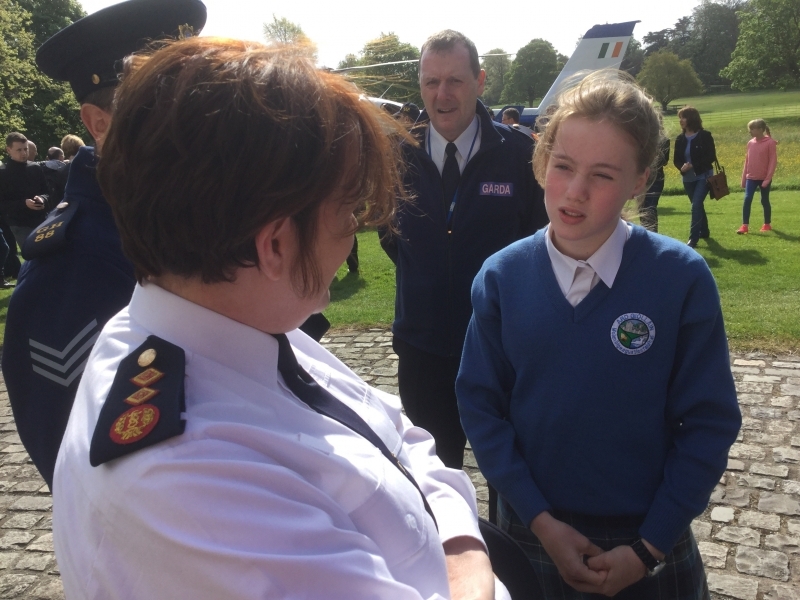 Well done Emily!!! 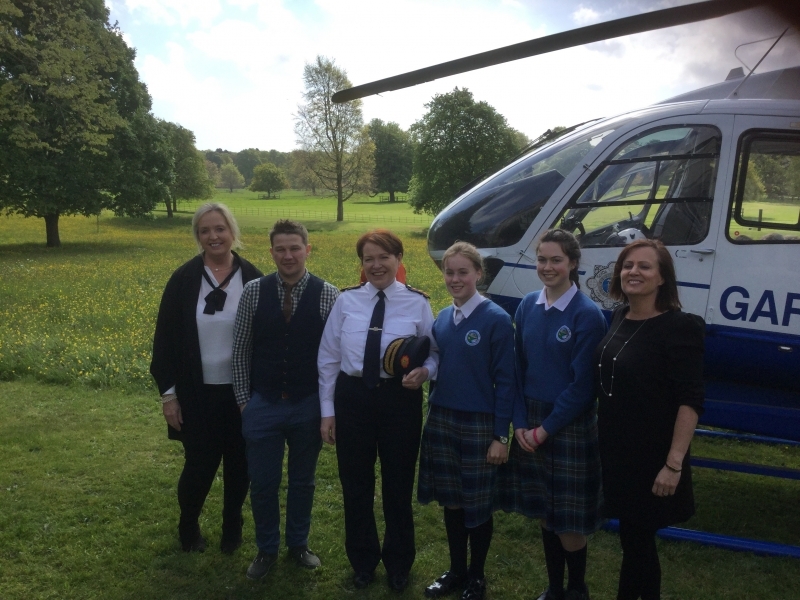 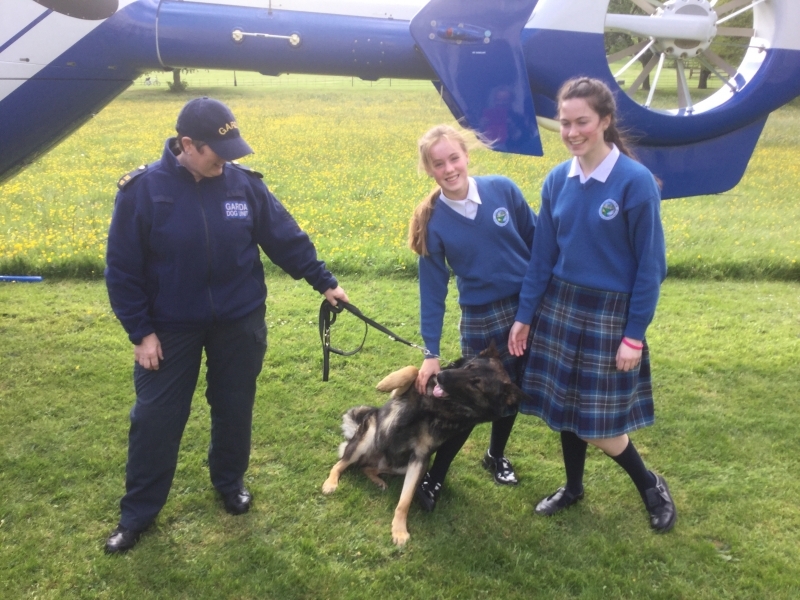 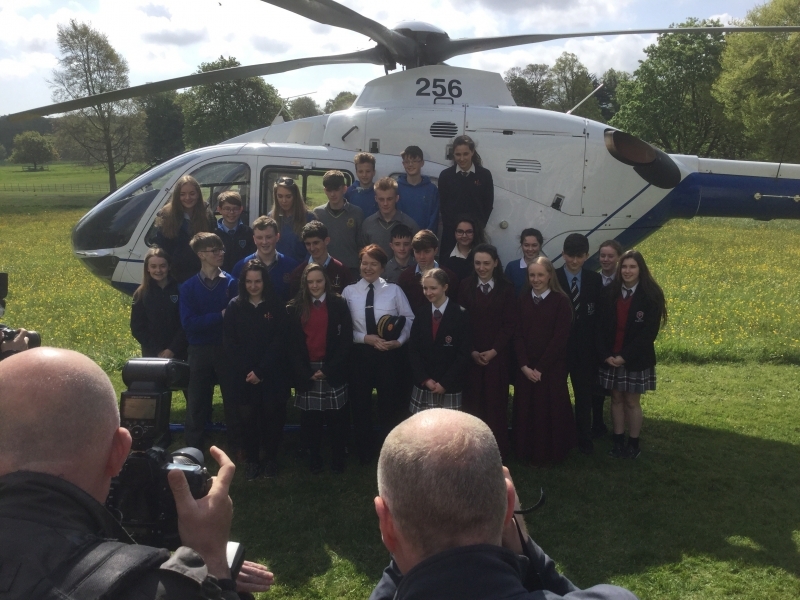 While in Farmleigh we were given a tour of the beautiful Guinness family house, shown the Garda helicopter, introduced to the Garda sniffer dogs and wowed by the armoured jeep and weapons of the armed response unit - thanks to the Gardaí for a great day out!